Want a comfortable but very useful gift for your Dad this year? Look no further than RibbedTee this Father's Day! My husband absolutely LOVES the new RibbedTee shirts he received! They fit so comfortably but yet have a breathable fit and provide high comfort! My husband loves wearing these shirts under all his dress and work clothes, especially now that summer is coming and so is the heat! It is a great buffer for sweaty days! :) Plus, he LOVES the longer length so it stays tucked in! Proudly made in the USA and constructed from the softest, most breathable natural fibers, RibbedTee undershirts are engineered to provide a close comfortable fit that keeps the body feeling cool and dry all day long. 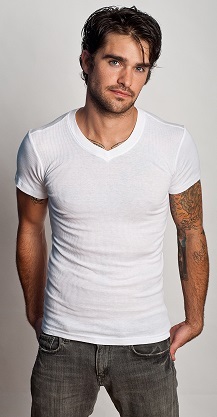 Inferior undershirts can lose their shape, begin to sag, come un-tucked and become increasingly uncomfortable from wash to wash. RibbedTee sets itself apart from these other t-shirts by improving the overall function of the undershirt for a close, comfortable fit that men truly want to wear, both as a base layer during the day for utility, and at night when worn alone for timeless style. With its unique design, RibbedTee’s undershirts are constructed to conform to the body’s shape. The longer length ensures that they remain tucked in at all times while the streamline fit prevents them from bunching around the waistline or arms. The stylish collars remain flat without sagging or stretching and each shirt is designed to maintain their shape wash after wash, ensuring the perfect fit every time. 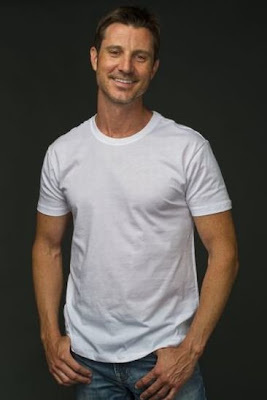 Proudly made in the U.S.A., RibbedTee set out to solve the problems that men have with their undershirts and design a superior collection of shirts that consistently look, fit and feel better than any others in its price class. RibbedTee undershirts are available in various styles of V-Necks, Crew Necks and Tank Tops. RibbedTee’s stylish line of undershirts bridge the gap between function and fashion. RibbedTee has advanced into the next phase of undershirt evolution by creating an extremely comfortable line that improves its function while simultaneously increasing the stylishness of the classic undershirt for a fit that men truly want to wear. Dads will love RibbedTee’s thin, breathable fabric that is uniquely designed to never come untucked, never bunch around the waistline and never lose its shape from wash to wash. Each shirt is constructed of a superior, breathable ribbed fabric that stays cool under pressure and will have men's torsos thanking them! Buy It: You can purchase the RibbedTee in a wide variety of styles and white, black and grey colors ranging from $18.50/2-Pack to $29/1-Pack at www.RibbedTee.com. Special for Father’s Day: personalized monogramming up to 7 letters on left chest or left sleeve for only $5 per shirt for a truly custom and thoughtful Father’s Day gift!